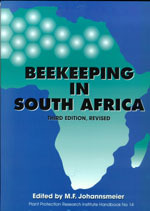 This is the third edition of Beekeeping in South Africa. The text has been revised and updated and provides a detailed overview of beekeeping with African subspecies of honeybees.With the emphasis on basic information and instruction, the book caters for hobbyists, beginners and professional beekeepers alike. This book is comprehensibly and simply written to aid practical application of beekeeping, with particular emphasis on top bar hives. 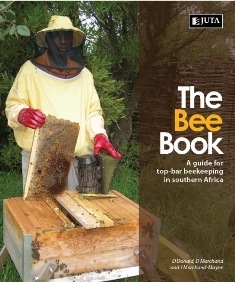 It highlights practical information and instructions on basic beekeeping, as well as providing ideas to experiment with different methods of beekeeping in the southern African environment. Copious illustrations, photographs and diagrams aid visual interpretation of the text. 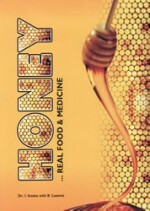 A clear and comprehensive book on the medicinal benefits of Honey as well as bringing in the special qualities of the Honeybee. South Africa’s organic gardening guru, Jane Griffiths, shows you just how easy it is to achieve a flourishing food garden, no matter how small your space. 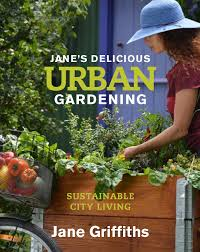 The book includes a section on urban beekeeping and the advantages of blending bees into a suburban garden.